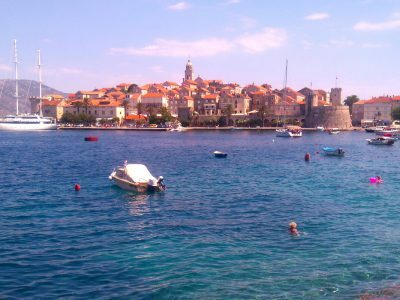 Croatia’s Adriatic Coast is a superb area for boating. Due to the country’s convoluted geography and many islands (there are over 1,000 islands, islets and reefs), Croatia’s coastline is the third longest on the entire Mediterranean (after Greece and Italy). Encompassing three of the country’s historical regions, Istria, Croatia Proper and Dalmatia, the area offers an extraordinarily rich variety of experiences. Remote coves and popular beaches, tranquil historical towns and upmarket resorts, rocky slopes and lush forests: there is much to discover for any traveller, no matter what their tastes and interests might be. Croatia’s geographic diversity is complemented by its unusually varied history, making this stretch of shore a meeting place and melting pot of many peoples and cultures throughout time, scattering the coast with a treasure trove of historical and archaeological heritage. Are you dreaming of a trip that allows you to experience and explore a fascinating historical region, but also to relax and simply enjoy yourself? In that case, you should consider a private gulet charter with Peter Sommer Travels in Croatia. 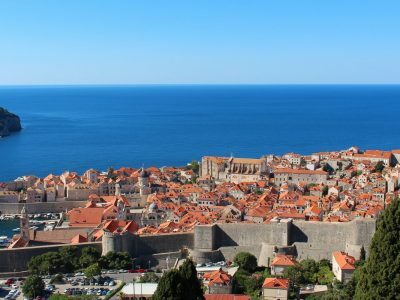 While our scheduled tours in Croatia follow set itineraries, a private charter is designed according to your very own wishes and ideas, making it an immensely personal high-quality option, your very own trip. We provide a lovely gulet with a seasoned crew, plus Peter Sommer Travels’ trademark team of expert guides, we make you aware of what options, routes and site visits are available, and in a process of careful preparation we create your dream holiday. Seeing Croatia on a private gulet charter is like no other way to visit this beautiful country: an immensely memorable experience. Each place we visit will bring new discoveries, new beauties to enjoy and perhaps new stories to share. If you want every day to be a new adventure, so it will be – and prefer more time to relax, enjoy the scenery, swim or snorkle, or enjoy the charms of a pretty port town, all that is in reach – we can balance the trip any way you want it to be. Of course, our dedicated historical experts will be there as your hosts, willing to unravel the tangled history of the region and to show you its highlights, its hidden secrets – or both. Grandiose palaces, little historical hamlets, dreamy spires and might fortifications invite the explorer – and each site has its own stories to be told. Croatia has an unusually rich culinary tradition, incorporating Mediterranean, Turkish, Hungarian, Germanic and Italian influences and providing a whole field of discovery by itself. Wonderful meals are freshly prepared by our gifted chefs aboard, complemented by a number of meals enjoyed in carefully selected restaurants showing off local specialities on the coast and in the islands. Currently, we are able to arrange gulet charters in Central and Southern Dalmatia, from Zadar in the north to Dubrovnik in the south. Depending on your interests, we can arrange a round-trip itinerary or a linear one – no matter which stretch of coast tempts you, each of them offers many different islands and coastal towns, historical sites and local specialities, landscapes and seascapes. We can make your itinerary a cultural one, a gastronomic one, a light and relaxing one – or any combination of the above. An increasing and sometimes confusing number of yachts and other craft can be chartered in Croatian waters. 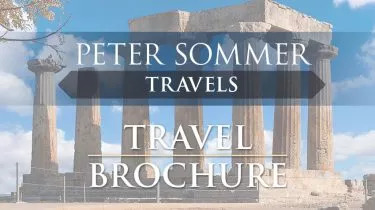 Following the principles Peter Sommer Travels has acquired during over two decades of organising cruises in the Mediterranean, we choose our boats with great care, based on very detailed personal inspection in every case. Virtually all the boats we use are traditional wooden gulets, constructed in Turkey on the basis of age-old traditional experience, and equipped with modern navigation devices. We have access a variety of boats (depending on place and season), able to cater for varying group sizes, accommodated in double or twin cabins, as well as master cabins on some of the gulets. The quality of a cruise stands and falls with that of the crew. We are no less careful in that regard than we are with boats and sites: our captains are experienced and know the coast and islands well, their crew are well-trained and highly attentive, the on-board chefs are talented and versatile. Together with our tour experts, they make your cruise a perfect one. 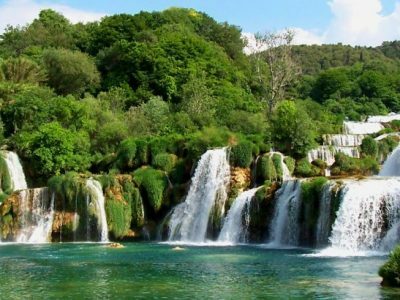 The most outstanding feature of a Peter Sommer Travels charter in Croatia is the careful and interactive manner in which it is designed and the great effort we make so that the tour turns out exactly as you want it. Our experts’ deep knowledge of the region, their passionate interest in it and their love for sharing its splendours and joys, from antiquities to wines, combined with your ideas and interests, makes the cruise a unique trip – every time. We can design a fully detailed itinerary, according to your instructions, or leave matters more flexible. Wecan select historical or cultural themes that fascinate you, or gastronomic ones, or find a series of landfalls for hiking or walking – it’s your call. The coastline, islands, harbours and coves of Dalmatia are yours to discover and enjoy and we are happy to spend as much time as it takes to design your perfect cruise. Each expert-led private charter, tailor-made specifically for you, is created from a great variety of options and add-ons. Therefore, the price of such a charter can vary greatly depending on your precise desires and requirements, as well as the season. Thus, the following is just a general guide, to you some idea of the price range involved. 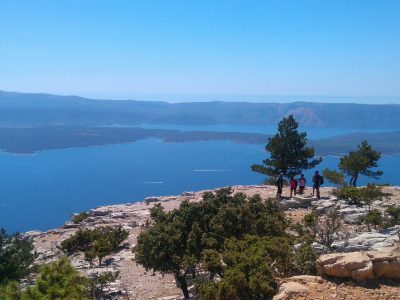 In 2018, the price for a 1-week cruise on one of our scheduled expert-led gulet tours in Croatia is £3,495 per person. Broadly, the larger the group the less expensive a charter becomes per person. The cost for a party of eight people or more is normally somewhat lower than our scheduled tour prices. If your party is bigger, with 12 guests or more, you’ll start to see substantial discounts on our scheduled tour prices per person. Our price includes: full board accommodation on the gulet, the services of a specialist guide and a local guide who will accompany you throughout the trip, entrance fees, site transfers, airport transfers, gratuities on land, harbour fees, crew services, fuel, all mineral water, teas and coffees, wine with dinner. It does not include: flights, airport taxes, visas, travel insurance and on-board gratuities (we recommend £8 per guest per day). There is a reasonably priced bar on board. Gulet charters in Croatia are available between April and October. The high season (July and August), has lower availability and higher prices. Whenever you may wish to travel, it is best to contact us soon, so we can start working on your very own Croatian cruise. It is our pleasure to talk discuss options and itineraries with you, to make sure we can arrange the tour just as you want it. If you are dreaming of a gulet charter in Croatia, don’t hesitate to contact us. Average rating 5 out of 5 from 372 reviews for Gulet Charters in Croatia, according to AITO reviews.